How Much Does a Central Air Conditioner Cost? How Much Does a Central Air Conditioner Cost? A new whole-house air conditioning system will cost between $3000 and $7000, depending upon the size of the system, equipment brands, and installation requirements. Large, complicated systems can run much more, costing as much as $20,000. 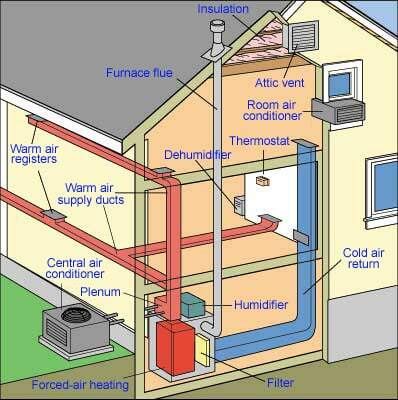 Existing heating system ductwork in your home makes a difference because it can usually be utilized. But, even in a home with usable ductwork, a standard central air-conditioning system can cost $3,000 to $6,000 or more to install. 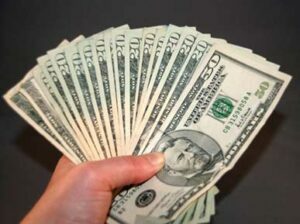 In fact, with top brand air conditioners such as Amana, American Standard, Lennox, Trane, and York, the equipment alone can run from $2500 to $3500. Because the cost of installation depends on so many variables, the only way to pinpoint the overall cost is to get at least three bids from qualified air conditioning contractors. Installing a conventional ducted system usually only makes sense if a house is being newly constructed or has a forced-air heating system that the air conditioner can piggyback on. Retrofitting the ductwork needed for a conventional ducted system in an existing home is simply too expensive in most cases. Instead, a mini-ductless system or several window or room air conditioners may be the best options. It’s important to note that installing a central air conditioner is not a do-it-yourself project. Though an accomplished do-it-yourselfer might be able to handle certain aspects of installation, it isn’t safe or legal for unlicensed people to charge an air conditioner with refrigerants. Don’t forget to consider the cost of running the air conditioner. Central air conditioners run on electricity for the compressor, blower, and fan. In some hot climates, where an air conditioner must run frequently, this can push energy costs sky-high. The amount of electricity needed to run a central AC depends on two things: cooling capacity and energy efficiency (measured by a SEER), so make sure you inquire about both before making your purchase. The more efficient the air conditioning system, the less it will cost in the long run. Because air conditioners are heavy energy users, the federal governments offers tax credits for buying high-efficiency equipment. In 2016, for an Energy Star compliant air conditioning systems with an SEER of 16 and an EER of 13 you can receive a $300 tax credit from the federal government. This FREE service will help you find a qualified local AC professional.